This was my very first flight with this airline. I have heard mixed reviews on this airline so I lowered my expectation and just try to enjoy the flight as much as possible. Even though this was a short hop to KUL, I would be able to check out the airline. When I flew with this carrier, the aircraft was based at the defunct budget terminal. Can you remember how that terminal looks like? Check out my photos! My 6th ride on this aircraft type and 5th airline to have flown on A320. My initial plans was to actually do a quick trip to Taiwan to visit someone, but my time schedule didn't allow me to go more than 2 days, and besides I wasn't sure whether that person was in town, so I decided to do just one trip up to KL and try the controversial Tiger Airways which would be my 31st airline at this point of time, also I decided to fly on Air Asia return which means I could save the trip and spend my evening at LCCT. The airfare was a big influence to my booking, since both airlines were offering good prices at the timing I chose,I decided to take them. In the end, I paid for good seats on Air Asia, and tried the Chicken 'Satay' and the total cost me S$96 which was slightly more expensive, considering I had no luggage check-in. This was also my first time sitting very front of an A320. The last time I tried booking on the airline's website, it had problems accepting my credit card, but this time there was no nonsense. Booking was fast and smooth which matters for travellers. 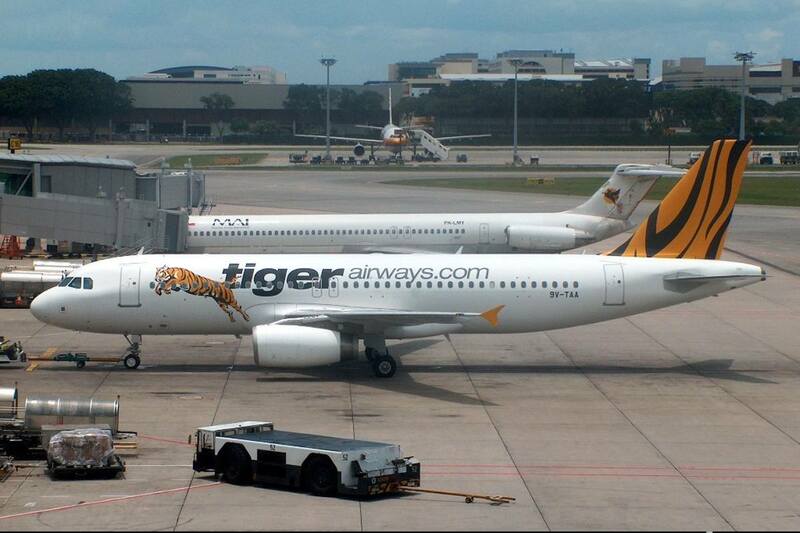 Booking was fast and smooth, probably more user-friendly than Tiger Airways. There is application available for both Iphone and Andorid phones, but it seems to be buggy at times. After a few attempts, I successfully booked my air ticket. One thing that is inconvenient, is when you want to check your flight on my phone, after keying in the booking number and my full name, you have to state your starting and final destination which I feel is totally unnecessary. The day itself, I woke up at 10.30am. Looking at the sky, I was hoping for better weather and it was! My friend, Andre asked me whether I was going airport, and asked me I want to meet up. I wanted to meet up with him initially, but seeing the time (it was already 12), I thought better not, just to play safe. I didn't bring many bags along, just my trustworthy Iphone to snap the photos. Took the bus down and reached the budget terminal at around 1pm. By the time, the queue was long and it took a good 20 minutes to reach to the front desk. That's flying on Low Cost for you. Singapore's budget terminal which is now defunct. The current site is being built for terminal 4. The shuttle bus that ferries passengers from here to Terminal 2. Doesn't this interior reminds you of a hospital ward? The poor Jett8 was still hanging somewhere at the airport at that time. This was where I boarded my aircraft. My walk to my row was the fastest at this point, less than 10 seconds, I was at my seat. When I sat down, there was a problem. The seat could not reclined back to its original position. Then, I had to ask for a seat change which the crew gave me the green light to do so. Once everyone was on board, I made the change and settled for the seat at the last row since the others were taken. There goes my front row seat! Tight legroom space as expected on a Low Cost Carrier. Bye Bye 9V-TAE! Thanks for the ride. Is it worth the $50? I think it is, even though my seat was broken, it was not a big issue at all since the flight wasn't full. I would attempt to get the front row seat on my flight A320 flight. The crew were friendly and cheerful. Had a good conversation with 2 young male crew who certainly know what they are talking. If you guys are thinking of flying with Tiger, you can but at your own risk. Safety record is sound, but for delays, flight cancellation and all that, that is a different story. I have friends flying frequently with this airline had no such problems and others who complained a lot to me about the airline so I would say, all depends on your luck. 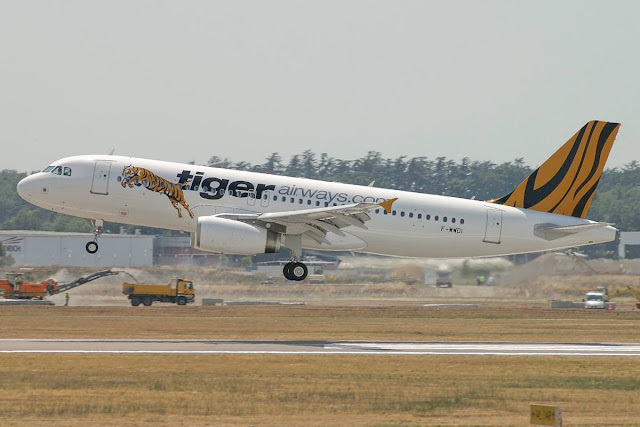 I've flown Tiger many times both in Australia and Asia and as long as you folow the rules and have modest expectations, there's never been a problem for me.